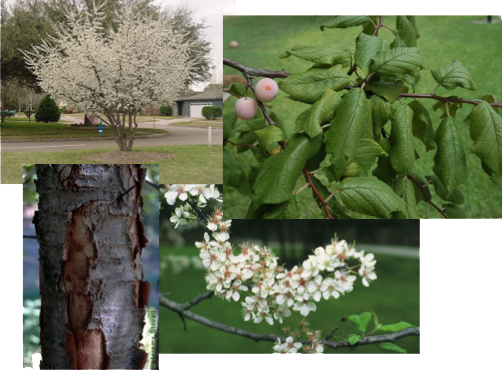 Beautiful small tree with clusters of white blossoms in spring followed by round, purplish fruit in fall. Grows in full sun or as an understory tree. 25′ tall and wide. Deciduous with peeling bark. Drought tolerant.